Cosmetic Dentistry Veneers, whitening, Invisalign® and more. Meet Your Doctor Dr. Tarver is dedicated to his patients. Contact Us Schedule your visit today! Dr. Justin E. Tarver is an outstanding second-generation dentist leading a friendly and long-tenured staff. Known for his compassionate treatment for patients of all ages, Dr. Tarver is committed to delivering the highest quality care in a comfortable, family-oriented environment. Patients never feel rushed, because Dr. Tarver enjoys getting to know them, and always takes the time to really listen. At the same time, our practice runs very efficiently. We are respectful of your time, and will see you without delay when you come in for your appointment. Our entire staff is great with kids, and we know how to help young patients feel comfortable in our office. If you are looking for a skilled, friendly dentist in the Monroe area, come see what we have to offer. Contact us today to learn more about our general, restorative, and cosmetic dentistry services. In addition to personalized care, Dr. Tarver is dedicated to your comfort and convenience. He will always take the time to answer your questions and ensure your full understanding of what to expect during your treatment. Our highly trained and caring staff will do everything they can to serve you promptly and help you feel at ease. We place a high priority on continually improving our practice and ourselves through training and continuing education. We are confident that we offer the highest level of service possible to all our patients. Dr. Tarver is a proud second-generation dentist. His father founded the practice in 1980, and Dr. Justin Tarver assumed ownership in 2009. Although our practice has been serving the people of Monroe for more than 30 years, our office is extremely modern, and fully equipped with the latest dental technology. Digital x-rays and intraoral cameras will give Dr. Tarver a detailed view of your teeth and gums, allowing him to diagnose conditions before they cause greater damage. We also use CEREC® (Chairside Economical Restoration of Esthetic Ceramics) to create beautiful, natural-looking crowns in a single visit. Finally, as a paper-free office, we keep all of your records on file digitally and can quickly access them for faster care that is more complete and more accurate. We are conveniently located off of Lincoln Road. 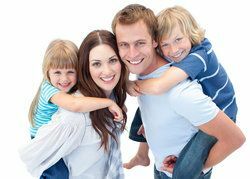 Our office hours are Monday through Thursday, from 8 a.m. to 5 p.m.
You and your family deserve superior dental care focused on your unique needs. To learn about our wide range of treatments for you and your whole family, or to book an appointment, contact Dr. Tarver’s office today. Dr Tarver and Staff were awesome! As a new patient, they worked me in within hours! New to the area and happy I have found a great dentist! Brandy V.